If there are other areas / or wish a particular location to be studied in a more detailed manner, please let me know! Words for the dead: how the 'books of the dead' changed throughout the years. 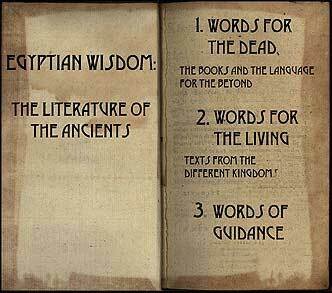 Words of guidance: instructions left by pharaohs, how history was made.